Palm Beach offers 234 sunny days per year on average. So letting the sun heat your water can save you money. Solar energy is free, and its supplies are unlimited. Using solar energy produces no air or water pollution. Households with an electric water heater consume about 6,400 KW per year for water heating. Solar Pool Heating: Get the most out of your pool investment with free solar energy. Enjoy your pool 10-11 months a year! 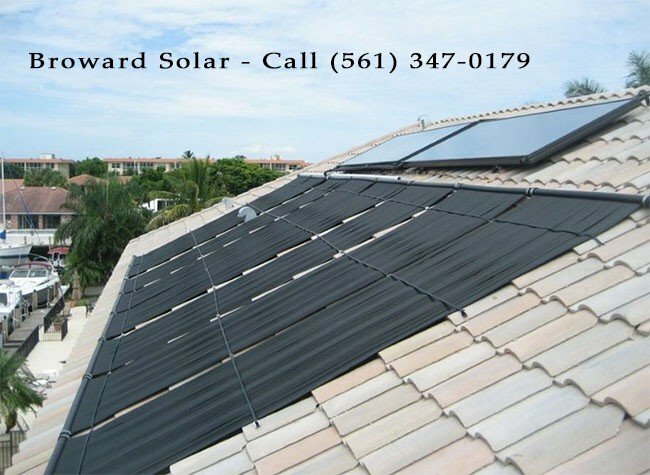 Solar Hot Water Heating: Solar hot water systems can provide you with up to 95% of your hot water needs. With a 30% Federal tax credit and $500 state rebate, this is a borderline “no brainer”. Reduce our dependance on foreign oil. Energy Efficient Heat Pump Pool Heaters: Not one type of pool heater is right for every situation. Heat pumps will heat your pool for less than half the cost of propane gas. Reduce your co2 emissions. 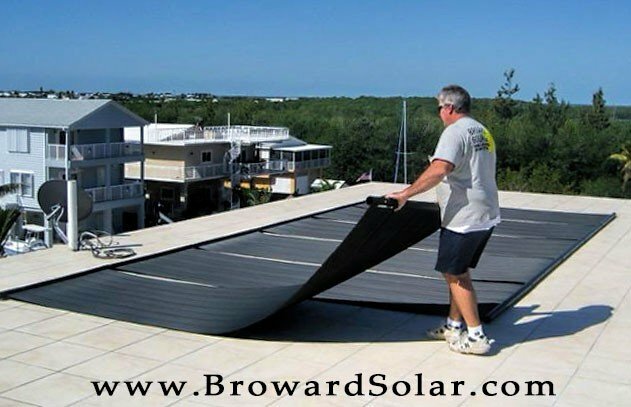 Contact Us today to find out how Broward Solar can help you with your Solar Needs.